Home / The Buzz / Spencer & Bailey’s journey to becoming Geeksters! Spencer & Bailey’s journey to becoming Geeksters! Guru has been in Spencer’s life for about a year now. We had gradually introduced it when he was still a puppy. We are convinced that we have made the right decision and best choice for him. A few months later, his big brother Bailey came into our lives and became a Geekster as well after his food envy could no longer be contained. Bailey and Spencer are lively boys with an abundance of energy and personality. Guru’s well-balanced ingredients keep them both healthy and active. Whereas Spencer had grown up with Guru food and always polishes his bowl after every meal, Bailey had been a bit of a grazer before his transition to Guru food. Bailey’s sensitive stomach has also meant many trips to the vet. Now he is no longer a grazer, but a hoover, and his digestion continues to improve. The boys are mealtime buddies, who burst into a concert of impatient howling while their food is being prepared. They push their bowls through the whole kitchen to ensure that not a single crumb is being missed. We haven’t experienced any flatulence or diarrhoea since feeding Guru. Both boys have strong immune systems. In this ‘jungle’ of different dog foods, we feel fortunate to have found out about Guru and wish that more people would give it a go and experience the incredible benefits of it. The one thing that had always struck us about any dog foods we had encountered before Guru was the horrible smell and greasiness of the kibble. Guru kibble smells delicious even to our human noses, and there is no sign of greasiness or other nasties. 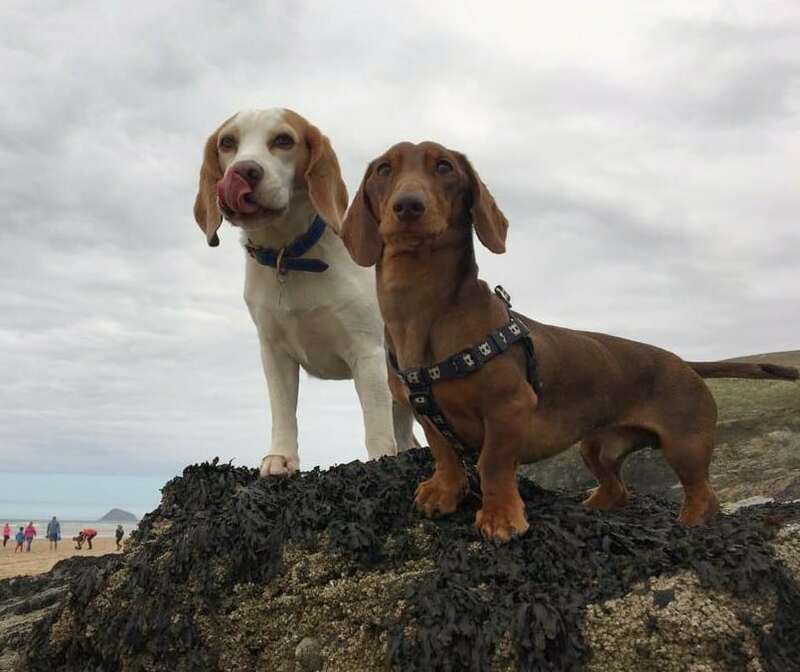 We work with a variety of different dog breeds on a daily basis and experience first hand that the majority of dogs actually suffer from either stomach problems and/or allergies caused by their diets. Choosing the right food can be such an easy fix. We believe that Guru dog food makes our boys not only happy boys, but also even-tempered doggies.